From its inception in the 17th century through its flowering in the Edo period, kabuki never enjoyed the backing of the ruling samurai class. It was only through popular support that kabuki managed to survive repeated attempts at suppression, making it an invaluable tool in understanding the sentiments of the common people. In a delightfully engaging look at Japan’s traditional dance-drama, Kesako Matsui examines the historical evolution of kabuki’s content and form in the way a paleontologist might examine geological layers, with each play offering fascinating insights into the pervading spirit of the era in which it was created and performed. Starting with Danjuro I’s Shibaraku, which dates from the late 17th century, Matsui artfully traces the origins and development of many of kabuki’s defining characteristics—rich showmanship, elaborately designed costumes and eye-catching makeup, dynamic sets like revolving stages and trap lifts, and the hanamichi bridgeway that leads through the audience—while linking them to larger patterns of cultural development in Japanese society. 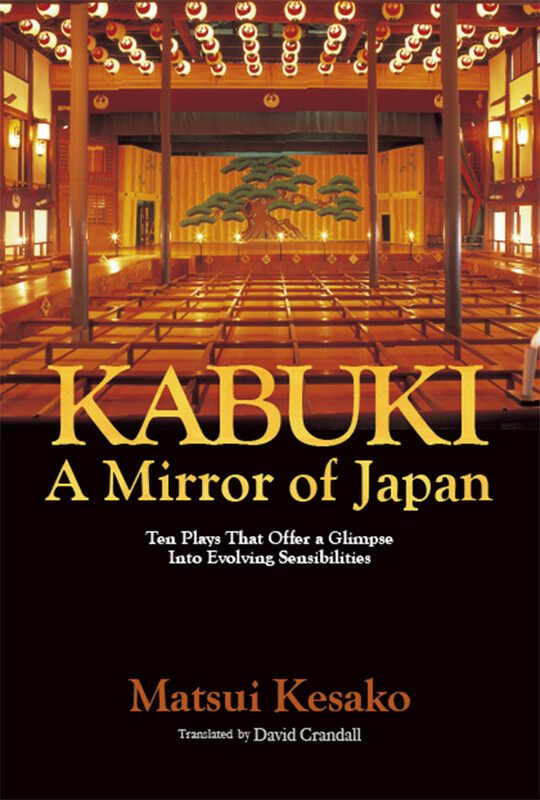 As a novelist and former writer for the kabuki stage herself, the author examines ten of the most famous and beloved plays in the traditional repertory, ending her survey with Mokuami’s Sannin Kishisa, which premiered in 1860, just before Japan embarked on the path of modernization and Westernization. Matsui’s insights, encyclopedic knowledge and easy writing style bring this centuries-old theatrical tradition to life, rendering it readily accessible even to those who have no prior knowledge of the subject. 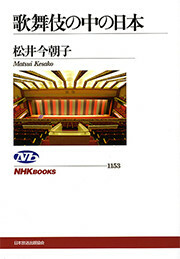 By examining the kabuki repertory in the chronological order in which the surviving plays were originally performed, the author illustrates the genre’s rich diversity, identifying both the changing and enduring elements in the intellectual, emotional and aesthetic sensibilities of the Japanese people. Kesako Matsui was a member of the production company Shochiku, where she was responsible for the planning and production of kabuki plays. Later, as a freelancer, she pursued scriptwriting, directing and critical writing under the mentorship of stage and film director Tetsuji Takechi. In 2007, her Yoshiwara Tebikigusa [Revenge in Yoshiwara] won the Naoki Prize.